Customers attend the release party for Seed, the first sour beer made start to finish in Milo, at the Bissell Brothers Three Rivers location in Milo. 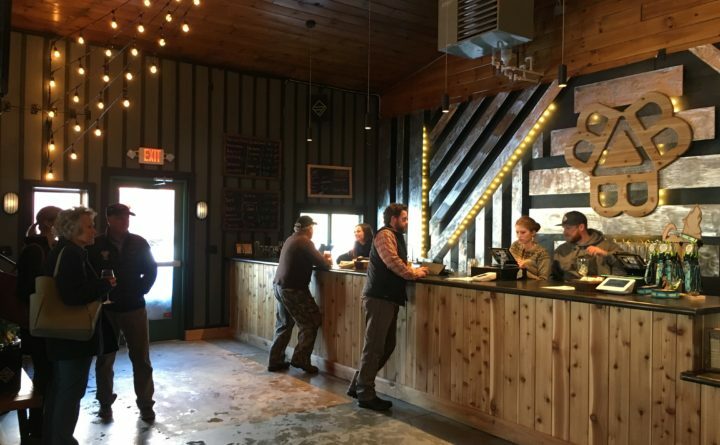 Bissell Brothers opened its newest brewery location in Milo last summer, making it the first brewery in Piscataquis County. Last Friday, the brewery that got its start in Portland celebrated the release of its first sour beer brewed from start to finish in Milo. The beer, called Seed, has been in the works since last winter, before Bissell Brothers opened its Milo location, co-founder Peter Bissell said. It underwent a yearlong fermentation process in an oak foudre — a large wooden barrel that ferments beer over time — before bottling and more conditioning. The brewery used berries from Bradbury Mountain Berry Farm in Pownal to give the sour beer a fruity taste. Bissell Brothers Three Rivers brewery in Milo released its first barrel-aged sour beer, Seed, made from start to finish in Milo, on Friday afternoon. Since opening in Milo in July 2018, Bissell Brothers has tried to make the location it calls Bissell Brothers Three Rivers a destination both for travelers and for people in Milo, where co-founders and brothers Noah and Peter Bissell grew up. Part of the idea was to contribute to their hometown’s revitalization. “It’s an area that society has written off,” Peter Bissell said. Last Friday’s Seed release drew a number of people from out of town. For Portland couple Chrystina and Mike Nicolette, making the trip to Milo for the release was a no-brainer. The Nicolette’s are former Colorado residents who often exchanged craft beers with their friends from other states before moving to Maine in 2017. Mike tried out a Bissell Brothers IPA when it arrived in a package from the other side of the country, and he’s been hooked ever since. Bissell Brothers “was the first stop off the plane,” Chrystina said. While Bissell Brothers doesn’t track how far customers travel to visit the Three Rivers brewery, General Manager Hester Bissell said she’s carded people from overseas and various states, including Alaska. For the brewers, Milo appears to offer the freedom to explore new approaches to beer making. Since opening, the brothers and their staff have integrated the use of a coolship, a unique beer fermentation method adopted from Belgium. The coolship is a large metal vessel that holds wort — essentially the beer before it ferments. Windows in the coolship room allow natural yeast from the air to integrate into the wort, which then contributes to the fermentation. Bissell Brothers calls beer made with this process “A Taste of Milo,” because it relies on the natural yeast unique to the Milo air and the taste cannot be replicated anywhere else. Bissell Brothers’ long-term plans in Milo include buying land behind the brewery to grow fruits to incorporate into beer recipes. Peter Bissell also said they’re considering farming and beekeeping in the future, and maybe even yurts — circular tent structures — for on-campus lodging. “It’s been a great adventure so far,” he said. 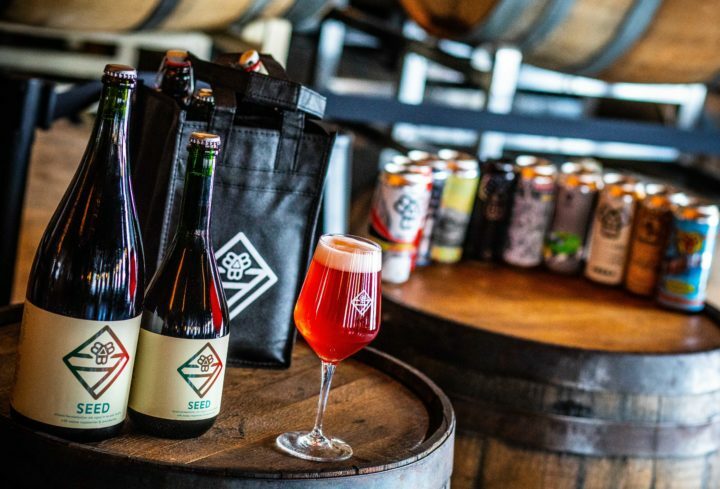 Seed will be available for purchase at Bissell Brothers’ Portland taproom starting Saturday.